The second attraction is curry. There are many small and large curry restaurants serving different styles including traditional Japanese curry and various other ones. They even host annual Kanda Curry Grand Prix to decide the best curry restaurant in the town! Check out these 10 curry restaurants and enjoy delicious curry in Jimbocho. Bondy is one of the famous hidden gems of Jimbocho, when it comes to curry. Here you can enjoy a wide variety of European style arranged into Japanese style curry like beef, chicken, pork, seafood, etc.! You have the option to choose the spiciness based on your tolerance level. Take note that this restaurant gets very crowded during lunchtime. So, if you want to eat here, be prepared to wait in line. The house specialty is the beef curry, and it is very delicious. The meat is tender, and the taste is superb. Definitely, one of the best places to eat curry in Jimbocho. Kyoeido is found under the basement of the Sun Building in Jimbocho. It is considered as one of the oldest curry restaurants in Tokyo which were established in 1924. Their specialty? Sumatran pork curry. This flavorful curry that comes with a generous serving is highly acclaimed by the locals. If you’re not a big fan of pork, they also have beef, chicken, shrimp, and beef tongue curry as well. Take note that the earlier you come, the better. 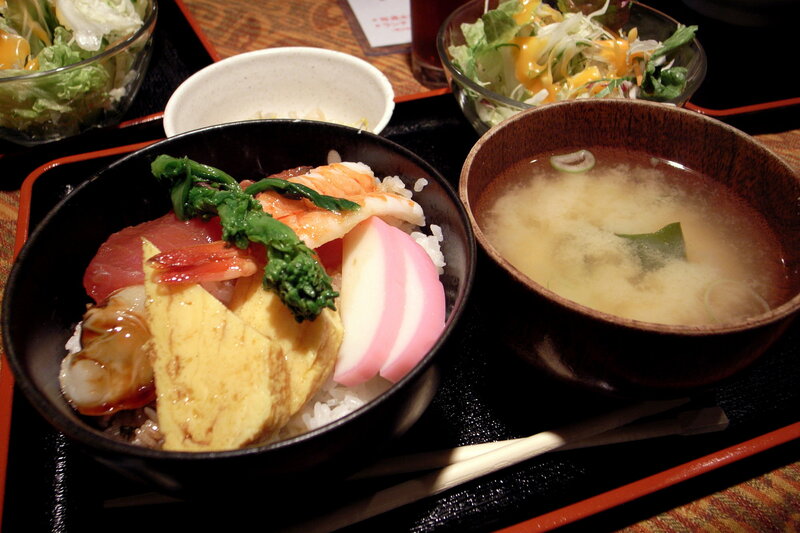 Like most popular restaurants in Japan, it becomes very crowded during lunchtime. If you have enough of Japanese and Indian curry, go here and taste their Sumatran curry for a change of pace. Ethiopia is another great place to enjoy delicious chicken, beef, shrimp, and vegetable curry in Jimbocho. Adjust the level of spiciness and enjoy your curry at your leisure. It is just a small restaurant, but it can easily become one of your favorite dining places in Jimbocho. Yamitsuki Curry is another popular restaurant in Jimbocho when it comes to curry. They have a good variety of Thai curries that you can choose from. The ladies that visit this restaurant prefer to eat vegetable curry most of the time. They have interesting curries such as tofu curry, too! Trying something new, especially when it comes to curry is always a great thing. You can head here after shopping for your books in Jimbocho and reward yourself with one of their specialty curries. Gavial has been around for quite some time in Jimbocho and is considered as one of the popular curry restaurants in the area. The European-style restaurant that serve Japanese curry is still going strong and offers its own unique flavor to the curry lovers in the city. If you feel like adding something, you can order cheese for extra toppings. Loup de mer is an interesting curry restaurant because they serve curry, omelet curry, omurice, and limited/seasonal specialty curries. Since everyone knows that “everything” tastes good when added to curry, you can rest assured that they will taste delicious. If you love omelet and curry, why not just have both? That way, you can enjoy both worlds for the price of one. Topca is a very interesting place. It is a curry restaurant during daytime and a tavern during the night! You can enjoy their delicious European and Indian curry during the day or get curry and drinks during the night. Whatever choice you make, you are bound to get a delicious surprise. Siddique is a Halal curry restaurant in Jimbocho. Halal is a special food preparation that is prescribed by Muslim law. They have a good selection of Pakistani and Northern Indian food dishes for you to try and enjoy. With that said, their curry gives an extra punch to those who love to eat Thai curries. Hinoya Curry is one of those curry restaurants where you can enjoy your curry the way you like it. Their most highly recommended dish is katsu curry. They also have a good selection of other dishes on their menu, which might suit your palate. A nice restaurant to visit when you are strolling around Jimbocho. Jazz Olympus in Jimbocho has a pretty good atmosphere. Their curry may look spicy at first glance, but it’s smooth and great, just like the jazz music playing in the background. A place where jazz and curry go hand in hand. This is definitely the kind of place that most people like to go when they want to enjoy delicious curry and listen to soulful music.